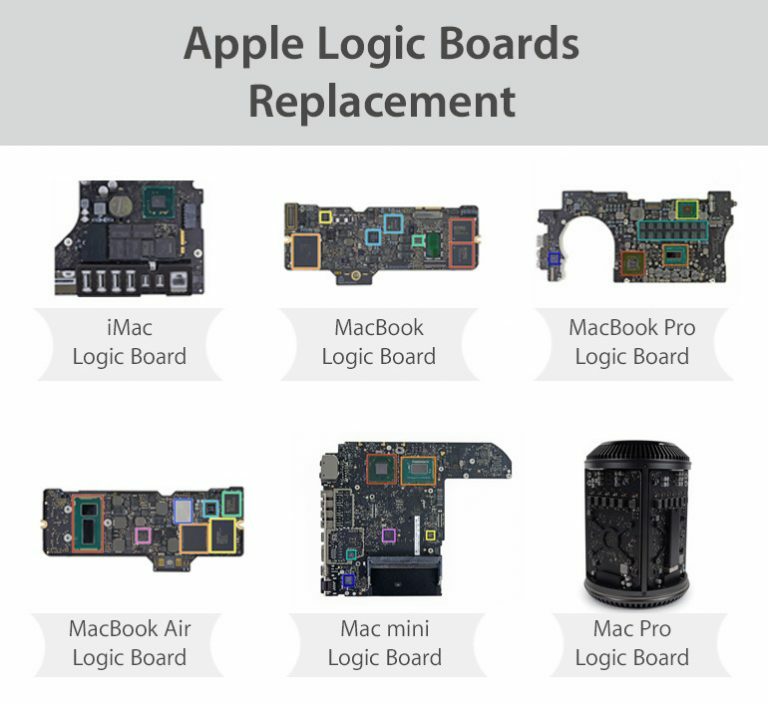 Apple logic board replacement service is offerred on Mac’s which have dead logic boards. Upon your visit to any Apple stores you will be notified whether if you need Apple logic board replacement for your MAC or not. Simple things like batteries, screen and ssd can easily replaced by Apple. However if your Mac has any liquid damage Apple can only offer their logic board replacement service. Apple logic board replacement service costs between $750- $1800. Depending on the model, year, size, specs and availaibility. Well this all sounds like a straight forward simple solution right?. What if I tell you that your Apple logic board can be repaired for a fraction of the price. Logic boards can be repaired saving Apple users hundreds of dollars. Liquid spilled Apple logic board repair is the most succesfull when the spillage is fresh. Each micro components of the Apple logic board can be replaced. Usually it is only a few chips (IC). Most important aspect of Apple logic board repair is correct diagnosis. For this one requires engineereing, coupled with technical skills to be able to read electronics and data lines. Board view schematics and diagrams are also very cruical. These can only be obtained from the manufacturers. Stocking all the micro IC components in our inventory is cruical. Because sometimes a single IC can take a few weeks to source globally. Perfect example is a audio IC repair where it is only a single chip. Another case is a backlight fuse. No matter what device you have Apple logic board replacement specialist Gagget Fix in Melbourne can help. iPad, iPhone, iMac, MacBook, Mac Mini, Mac Pro, iMac Pro. Anyone who is looking for Apple logic board replacement service, I would highly recommend them to consider logic board repair.